It's been a long ride for the PadFone. ASUS' last smartphone was the Android 2.1-powered A10 from two years ago, then five months later the company ended its smartphone partnership with Garmin (though they're still friends). The next thing we knew, the outfit was openly considering Windows Phone, but obviously nothing came to fruition despite its E600 engineering units floating about in the wild. Meanwhile, a bunch of Android Eee Pads started entering the market to get a slice of that hot tablet pie. Eventually, the PadFone shocked the industry at last year's Computex (remember our brilliant mockup based on the teaser pics? ), but ASUS went on to miss its Christmas launch target, allowing it extra time to rejig the phone's software and design. Then CES and MWC went by, with the latter hosting the official launch event to unveil the PadFone's final design and availability date. 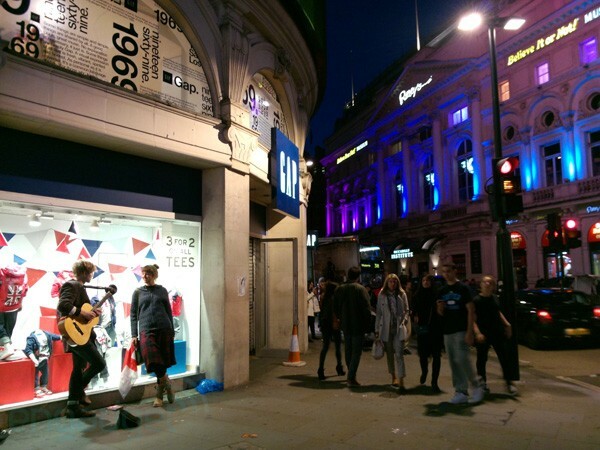 This time, the new April target was missed by only three weeks, and shortly afterwards we got hold of our retail unit from Taiwan, which is still the only place where you can get hold of the product. But enough with the story. What we want to know is whether ASUS' courageous and unique project has all the right ingredients to squeeze itself into a market now dominated by the likes of Apple, Samsung and HTC. Most importantly, will the company set a new trend with this two- or three-in-one form factor -- in the same way it did with netbooks -- thus taking the Android ecosystem to the next level? Let's see. 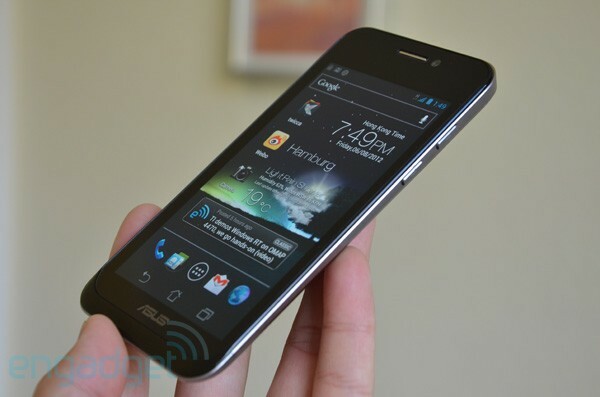 The ASUS PadFone is a remarkable piece of work and its unique transformation will catch people's attention. It just needs a diet and some software fixes. How would you rate the PadFone? ASUS has delivered a pleasant surprise with the PadFone's weight. If you've been following this product closely, you should know by now that the full PadFone package -- assembled in Pegatron's Shanghai plant -- comes in three main parts: the phone, the PadFone Station pad and the PadFone Station keyboard dock. Let's focus on the phone first: in Taiwan, you can buy this HSPA+ (WCDMA 900/2100) handset on its own -- for NT$17,990 (about US$610, or US$580 before tax) without contract. You get a 4.3-inch, 960 x 540 Samsung Super AMOLED display (with Gorilla Glass plus a hard coat, low reflection film), a dual-core Qualcomm Snapdragon S4 SoC (MSM8260A at 1.5GHz), 1GB LPDDR2 RAM, an 8-megapixel AF camera with LED flash, a VGA front-facing camera and a removable 3.7V 1,520mAh battery. The Taiwanese version also comes with a generous 32GB of internal eMMC flash storage plus another 32GB of free ASUS Webstorage for three years. You can add even more via microSDXC -- that could be an additional 64GB if you're lucky enough to track down one of those unicorn cards. In terms of dimensions and weight, the PadFone comes in at 128 x 65.4 x 9.2mm (5.0 x 2.6 x 0.4 inches) and 129g (4.6 ounces), making it one of the lighter smartphones in the 4.3-inch class. For comparison, the similarly sized Galaxy S II (international) officially weighs just one gram more, whereas the Sony Xperia S and the Lenovo LePhone K2 take a big jump to 144g and 145g, respectively. Then we go towards the other end of the scale with the 121g LG Optimus L7, the 119.5g HTC One S (also with a 4.3-inch PenTile Super AMOLED screen and MSM8260A chip) and the 103g Panasonic Eluga -- though the Eluga does have a much smaller, non-removable battery. For a device featuring an aluminum frame and a slab of glass, ASUS has delivered a pleasant surprise with the PadFone's weight -- after all, the designers do need to keep the overall package as light as possible, but more on that later. In an era full of flagships with screen sizes above 4.3 inches, going back to grasping this smaller handset actually gave us quite a welcoming sensation, but obviously it wasn't just the size at play here. To achieve this feat, ASUS used a matte aluminum frame to provide a fairly rigid structure. Having it tapered both length-wise and depth-wise makes the phone appear not only slimmer (the actual thickness along the length of the phone is more consistent than it looks), but also lets our palm wrap around the back cover's rounded sides in a more seamless manner. 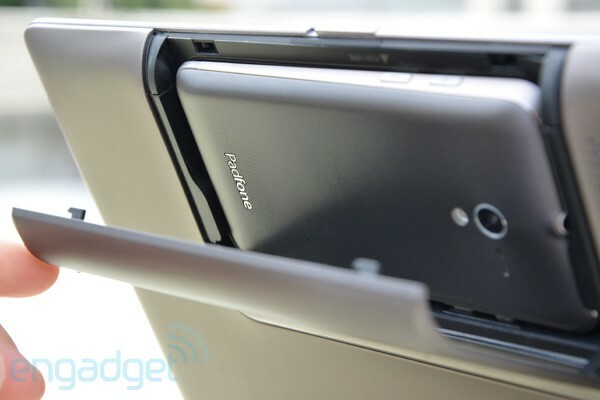 Speaking of which, the PadFone's backside sports the same Zen design ID as seen on the Transformer Prime and the Zenbook series. However, the cover isn't metallic, so the spun finish is achieved with circular etches on the slightly flexible plastic, with the camera acting as the "source" of the ripple pattern -- this would've looked weird had ASUS stuck with the original off-center camera position. We dig the look and feel here, plus the texture provides the additional benefit of resisting fingerprints. The back cover can be peeled off from the bottom edge, thus exposing the spring-loaded microSD slot, mini-SIM slot and removable battery. Much like many of the Ice Cream Sandwich phones (including the new trio of Motorola RAZRs in China), the PadFone utilizes the system's virtual soft buttons instead of physical ones. The only facial features on the phone are the shiny earpiece and the VGA camera at the top, as well as the ASUS logo at the bottom. Below that is a black, shiny plastic lip that traces back to the rim around the glass, and all of this is encompassed and accented by the lower silver bezel. If you look closer, though, you'll notice the bezel is segmented around the shiny lip, and that part is actually a silver-painted extension of the black plastic inner frame (right underneath the battery cover) -- this is obviously intended for the antenna and the mic. Call us picky, but now and then we cringe at the seam between the metal bezel and its slightly duller plastic counterpart. Leaving that minor niggle aside, we're quite pleased with the rest of the external features -- the slots are nicely cut for the micro-HDMI port and the micro-USB port on the left. The finish of the three buttons (power, volume up and volume down along the right) are pretty consistent with the bezel's. You'll also find the 3.5mm headphone jack bang in the middle of the phone's top side, which is a rare sight in the mobile market these days (the short list also includes Huawei's Ascend Y200; Nokia's Lumia 610 and Lumia 710; and Sony's Xperia neo V, Xperia X10 and Live with Walkman). 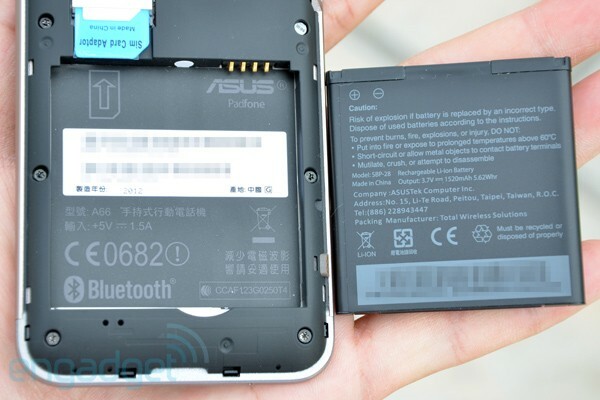 Given that the tablet part features an LCD panel, we're still baffled by ASUS' decision to feature a Super AMOLED display on the phone, as opposed to using LCD for the sake of consistency. The PenTile subpixel arrangement is an old issue that we won't bother grumbling about again (LG's already done most of the talking, anyway), though a Plus version of the Super AMOLED panel would have been very welcome. ASUS said it went with AMOLED because it believes that it's "the best solution for [a] phone with high contrast and lightness." 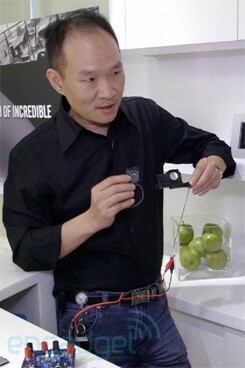 It also allowed the company to produce a thinner device. On the bright side, the PadFone offers an "outdoor mode" toggle which boosts the screen brightness, and with that, the Super AMOLED display is quite usable under strong sunlight. For the sake of your battery life, don't forget to disable this feature when you go back inside. Let's get to the meat then, shall we? 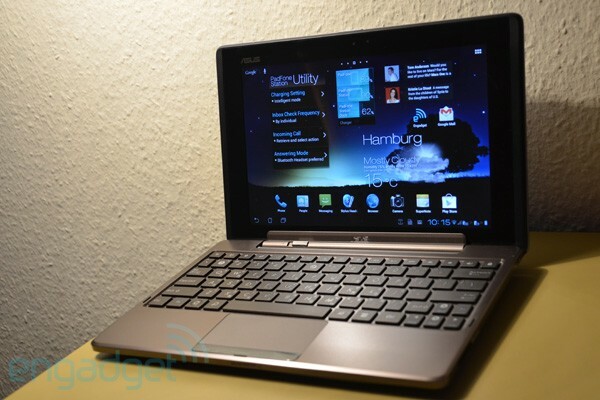 While Motorola was the first to deliver a laptop-docking phone, ASUS' implementation is more organic and flexible. Rather than letting you access the device through an Ubuntu-based webtop app on the bigger screen, the PadFone takes advantage of Android 4.0's interchangability between the phone and tablet UI, meaning you don't need to install a different set of apps just for a separate OS. Also, the Android system and supported apps can switch to the appropriate interface depending on which screen is active; so in theory, it should be a seamless transition from one mode to another, regardless of whether you're working or enjoying multimedia content. As to why we say "in theory," we shall explain later. 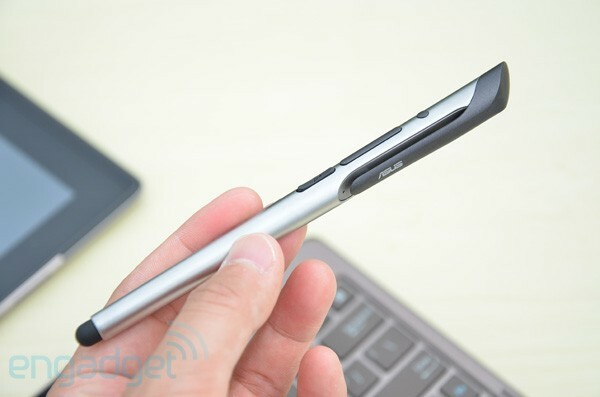 As we mentioned earlier, the full PadFone package consists of three main parts: on top of the 32GB PadFone in Taiwan, an additional NT$6,990 (US$236) gets you the PadFone Station plus the stylus Bluetooth headset with a soft tip, and another NT$3,000 (US$101) gets you the PadFone Station Dock. (ASUS also recently outed a display docking monitor, though we've received no word on pricing or availability.) In the US, you can get hold of the PadFone and the PadFone Station together from our friends over at Negri Electronics for US$860. 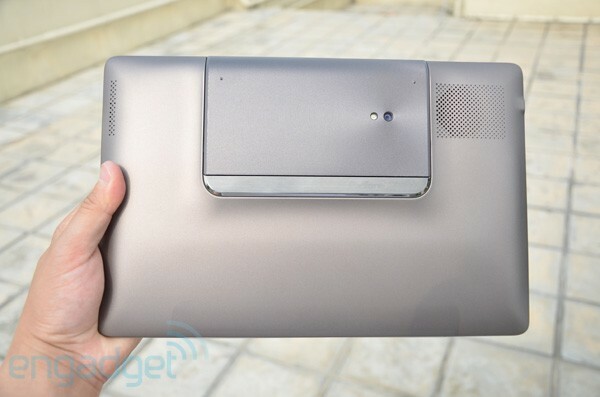 The PadFone Station is essentially just an external 10.1-inch, 1280 x 800 IPS display (also with Gorilla Glass and HCLR film, but more prone to attracting fingerprints) and a battery pack for the PadFone, but it also packs a loudspeaker at the back and a 1.3-megapixel camera at the front (better than the phone's VGA counterpart). The circuitry inside is quite a sight: as you can see below, we opened ours up for the sake of curiosity and, wow, there are quite a lot of wires and ribbons squeezed into the tiny bit of space. Similar to its Transformer cousins, the PadFone's tablet and keyboard dock both pack a 7.4V 24.4Wh battery (each consisting of two 3,300mAh cells in a series). However, since the system's rated at just 3.7V, the effective battery capacity in each PadFone Station part is actually 6,600mAh, hence the difference in figures on the spec sheet and on the battery label. 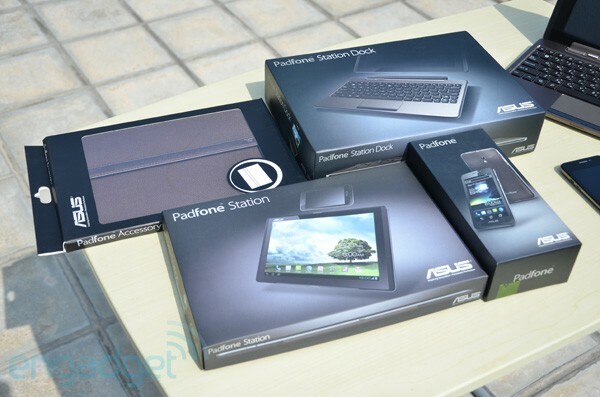 There are also two noteworthy discoveries inside the PadFone Station that we'd like to share. First, underneath the back chassis, we spotted a dual-GPS antenna implementation which, according to our friends over at AnandTech, is a rare sight on mobile devices. ASUS explained to us that one of these Foxconn antennas is for receiving signals for both GPS and GLONASS, and the other one is for transmitting the signal by air, coupling to enhance the GPS performance in tablet mode. This external GPS structure links back to the Qualcomm RTR8600 multi-band / mode RF transceiver in the phone, so there's no separate GPS chip in the pad -- just a low noise amplifier there for the structure. While in most cases our PadFone gets a good GPS lock-on within about 10 seconds in either mode, it's still a tad quicker and more accurate when the phone's outside the pad. Hey, at least it works! And while we're talking about antennas, the PadFone Station also has an external 3G antenna (sourced from Inpaq) that traces back to three metal contact pins in the phone chamber, where they touch the metal contacts on the bottom left of the phone. We haven't noticed any significant signal drop when putting the phone into the tablet, so it looks like this feature is serving its purpose well. "It is a transmission line speaker box design. We arrange a long path for back wave by internal structure and PCB. Transmission line box is unique and expensive design which is rare. Only high-end loudspeakers such as Tannoy Westminster apply this design." In fact, from what we've learned during our recent tour at ASUS' Taipei headquarters, this is basically what Huang's team implemented across all SonicMaster-certified products (including the Transformer Prime). The team creates as much space as possible for the audio chamber (even the loudspeaker on the PadFone phone has one), and at the same time they employ the biggest possible speaker driver that they can fit in for the sake of better audio reproduction. Huang reminded us that professional grade audio equipment like loudspeakers, amplifiers and turntables are intentionally big and heavy for stability, which was why he took the liberty of criticizing a minuscule Zylux speaker driver that pretty much all of ASUS' competitors use (though funnily enough, Zylux's website lists ASUS as a general customer -- awkward!). With the company placing audio quality before other aspects in some of their product lines, the Golden Ear team doesn't hold back on the size of the speakers. They'd often debate with the engineers over how much space the audio parts should get in upcoming devices. The engineers would then eventually come up with a solution that Huang claims offers no sacrifices. What's left to do then is to strategically place the speakers to avoid mechanical and electromagnetic interference, because obviously the last thing you want is data loss or annoying noises. The end result is surprisingly loud and punchy sound with very little distortion. Alas, it's a shame that the PadFone Station's speaker is facing away from the user by design, so you'd want to be facing a wall to get the most out of it from the reflection. Alternatively, you can just use the PadFone's wired headset. For a pair of free earphones we were blown away by their sound quality. Huang, who's a fan of Sony's high-end headphones, told us that these are just moving-coil earphones but with a super thin diaphragm that offers good bass at this size. As good as they sound, we regret to report there is one major design flaw here. The mic is located at the point where the two channels split up, so we always had to hold it up closer to our mouth for the person on the other end to hear us. Also, the plastic sleeve of the main wire has already come off the mic module after just a few weeks of usage. Hopefully ASUS can address these issues with a new design. While we're on the topic of making phone calls, apart from extracting the phone out of the tablet you can also just use the stylus headset. Packed inside a smooth aluminum shaft, this Bluetooth device claims to sustain seven hours of talk time and can go on standby for 10 days -- we'll take ASUS' word on that. Pairing up is done in the same manner as most Bluetooth audio devices, but ASUS has also thrown in an appropriately named "Stylus Headset" app to walk you through the process. With the headset turned off, hold down the circular power button above the volume rocker until the LED flashes red and blue (for about three seconds), and then you should see the stylus show up on the PadFone's scan list. When you get an incoming call the stylus vibrates, then you'll need to figure out how best to place the earpiece on your ear -- something that took us a good several seconds for our first few attempts. While this is a cool and convenient feature, we found that our hands became uncomfortable quite quickly, so we wouldn't recommend this method for super long conversations; or try using an elastic band instead, if you must. Enough with audio for now -- it's time to go back to the grand scheme of things. According to our scale, our brainless tablet matches the official weight of 724g and our keyboard dock got 635g -- just a few grams shy from the similar-looking dock for the OG Transformer. This makes a total of around 1.49kg (about 3.28 pounds) when we put all three PadFone parts together. 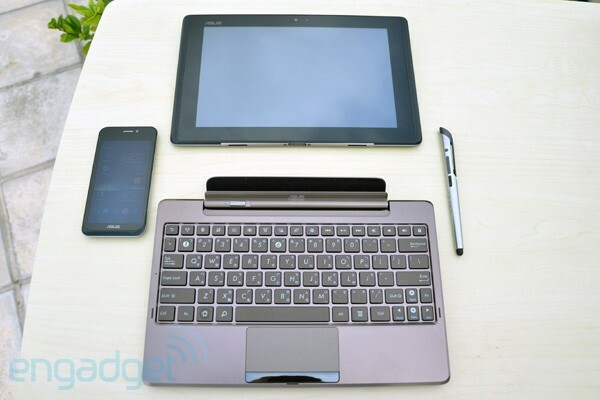 The phone-in-tablet combo comes in at 854g or 1.88 pounds, making the laptop setup rather top-heavy. Despite the limited hinge angle up to about 100 degrees (at which point that end of the keyboard dock is elevated by the hinge's feet by about 8mm), we still had to be careful to make sure the PadFone laptop didn't tip over our lap or the edge of our bed. Sadly, though, we've already failed once at the latter. It really doesn't take much to tip the whole thing over, so be very careful. The aforementioned weight figures are rather hefty for their respective 10.1-inch form factors, especially when you compare them to the 1.1kg / 2.42-pound ZenBook Prime UX21A (an 11-inch Ultrabook) and the 1.123kg / 2.47-pound (docked) or 586g / 1.29-pound (undocked) Transformer Prime. Considering that extra components are needed for housing and connecting the phone, this extra burden is no surprise for a first-of-its-kind device, but it does beg the question as to whether people will tolerate it. Needless to say, you'll probably want to use a backpack rather than a messenger bag for the laptop combo. You could simply leave the keyboard dock at home or in the office if you don't consider yourself a road warrior -- hold that thought until we get to the software part later on. As for the tablet, we enjoyed the soft-touch finish on the back for a landscape grip and the thicker part of the tablet (formed by the hinged, circular-patterned polycarbonate cover over the phone-docking chamber) for a portrait grip. You'll either have to lean your arm(s) or the device on something, or use the official multi-purpose slide-in "VersaSleeve" (NT$1,190 or about US$40; free with the PadFone Station in Hong Kong when it launches there) to prop it up at two different angles on the table -- one for watching video, and one for typing. To our surprise the sleeve works rather well as a stand, but only time will tell how tough its brown 1680D polyester exterior and black velvet lining are. Apart from the soft-touch finish to match the pad, the keyboard dock is fundamentally identical to the one for the very first Transformer tablet. You get the same 254mm chiclet keyboard (92 percent of the size of a full keyboard) and touchpad with two click buttons, as well as a 40-pin power-only dock connector and a USB 2.0 port (with a magnetic latch) on the left. Another USB port and an SD card reader (now supporting up to SDXC) can be found on the right. We'd even go as far as to say that the keyboard feels just as good as before, though we wish ASUS would one day relocate the lock key that's just above the backspace key -- once in a blue moon we'd lock the device by accident while typing, and that tends to happen more often when we let a newbie try our device. 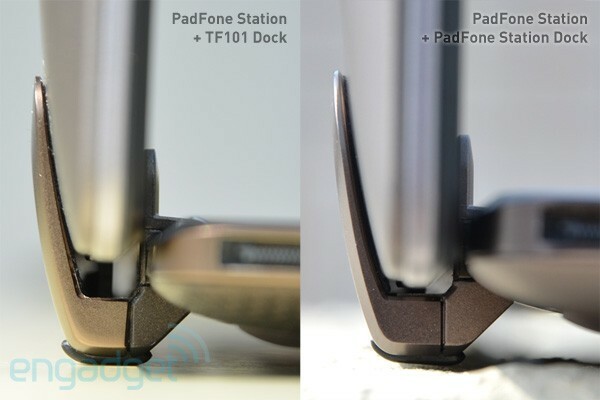 The PadFone Station Dock's aluminum hinge and tablet release latch appear to be identical to the one on the TF101 dock. However, we had to really force our PadFone Station into the latter to just about get a connection (as pictured above), so it's safe to say that the two are officially incompatible. In other words: don't do this at home, kids. 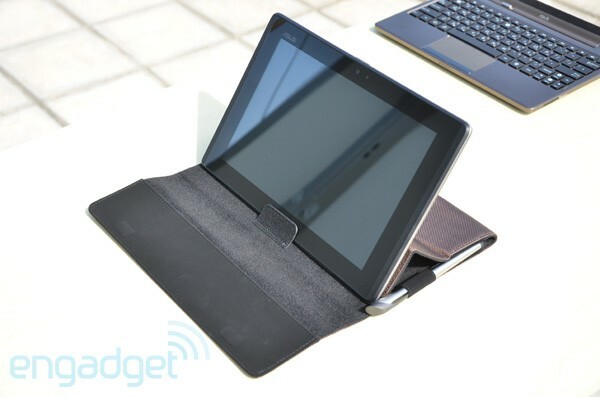 While it's disappointing that we're not allowed to re-use the older dock here (be it for the sake of saving money, reducing waste or purely mixing-and-matching patterns), ASUS pointed out that the heavier PadFone tablet does require a stronger hinge. Inserting the phone into the PadFone Station is as simple as releasing the station's hinged cover using the latch up top. Then slide the phone into the bay (which has a slick plastic strip on both "walls" to smooth the action) until you feel a soft click akin to that of plugging in a micro-USB cable. Within just over a second after the insertion (regardless of whether the cover is still open), the tablet comes to life with the sweet Ice Cream Sandwich tablet interface. When you're done, just release the cover and push it down to about 90 degrees in order to trigger the phone release mechanism, which is just two little plastic probes that stick out to push up the phone. In fact, you can even just force-pull the phone out by anchoring your thumb on the screen and then gripping the phone with the tips of your fingers -- this is, ahem, handy for when you want to extract the phone while keeping the tablet in your bag. Obviously, the official way is easier, and it really isn't as scary as it sounds as the cover's hinge is pretty strong. Before long we had mastered a single-handed technique: unlatch the cover with one hand (usually just with an index finger), then slide the hand down to push the cover with the middle finger, and then grab the undocked phone out. Pro tip: do this slowly so people around you can watch with awe. Second pro tip: our single-handed technique doesn't work well when the docked PadFone Station is tilted at the maximum angle, as the slippery feet below the keyboard's hinge are just asking for trouble when you try this trick. Like the HTC One XL (or simply the One X on AT&T) and One S, the slick PadFone takes advantage of Qualcomm Snapdragon S4's Krait, which is technically a more capable architecture than the Tegra 3's Cortex-A9. That said, after thoroughly comparing the two SoCs, AnandTech concluded that each has its own advantage, and it really depends on how heavily threaded the apps are -- something that the legendary site doubts would favor phones with quad-core Tegra 3 any time soon. Yet the PadFone is also a tablet (effectively making it the first commercially available Snapdragon S4 tablet) and a netbook. Both form factors are begging for a wider range of applications in order to slowly overtake the role of conventional PCs. At one point we were even certain that ASUS would launch the PadFone with Tegra 3, which would've given it slightly more graphics oomph than the MSM8260A's Adreno 225 engine (the beefier Adreno 320 will have to wait for the MSM8960 Pro). What officially happened with that plan remains a mystery, but if we must guess, it was probably because ASUS wanted a smooth upgrade path to the PadFone LTE that was also announced at MWC; while Tegra with integrated Icera LTE won't materialize until next year. With that considered, and judging by these scores plus our smooth experience, we think this is a damn good decision, especially for an extremely adventurous product that's never been done by others before. *Battery life of tablet mode and laptop mode include phone-only time after battery is depleted on the PadFone Station. The PadFone Station does not operate once it runs out of battery. As you may have seen in our Transformer reviews, it requires a fair amount of patience when grilling these multi-battery devices to test their endurance. So you can imagine the pain -- or joy, depending on how you look at it -- we went through with the whole PadFone package. As mentioned earlier, the phone itself houses a removable 3.7V 1,520mAh battery, and that got us through about six hours and 15 minutes in our standard rundown test (that's with a video looping, a 3G data connection, WiFi enabled but not connected, brightness fixed at 50 percent and some specific background sync settings). Yikes, that's almost three hours short of what we got from the similarly specced HTC One S -- same display panel, same SoC, just with 130mAh more battery juice. We imagine this likely has more to do with the way ASUS set its power management profiles. For this test, we used balanced mode, which still keeps the CPU clocked at 1.5GHz max, but the system processes with both cores less often than it does in performance mode. As for power saving mode, ASUS told us the CPU is capped at a surprisingly high 1.2GHz and the display brightness is set to 90 percent by default -- same as balanced mode (but we changed it back to 50 percent and made sure it was non-outdoor mode for the test, obviously). Going back to those official real-life figures we obtained a while back, it's interesting to see how ASUS' lab only got about 2.6 hours and 2.1 hours on the phone alone for continuous web browsing over WiFi and 3G, respectively. By comparison, we got around 6.25 hours with our video loop test plus 3G data connection. That's almost three times as much stamina than what ASUS got out of its 3G browsing test! Our money's on the Super AMOLED panel sucking up all the power for the web pages' white backgrounds (again, a drawback that's been cheekily pointed out by LG). It's a good thing, then, that the larger PadFone Station -- naturally the eye-friendlier option for web browsing -- uses an LCD panel instead. Well, not that ASUS has a choice until someone makes an affordable 10-inch OLED panel. 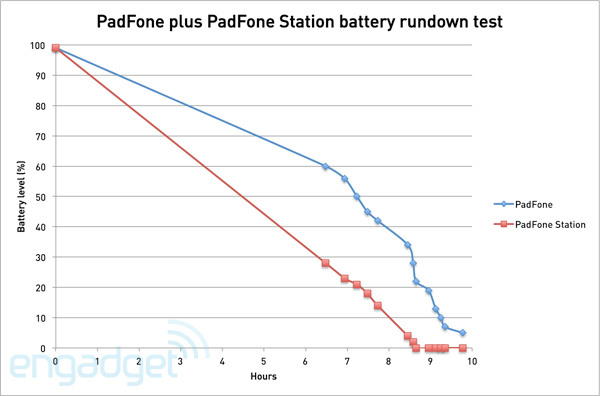 Despite the outcome of the rundown tests from us and ASUS, the PadFone's battery performed very well under our normal usage and easily lasted a full day. We also recall one night when we forgot to plug the phone into a charger before going to bed, but when we woke up about eight hours later it had only drained about 10 percent of battery, presumably mostly due to its WiFi connection. We also tested constantly listening to music from the phone while using its personal hotspot for our laptop (mainly for Twitter, Facebook, typing and the occasional random YouTube clips for giggles), and that lasted for three hours and 50 minutes. Needless to say, you'd get a lot more hotspot time if you utilize the pad and the keyboard dock as well. Speaking of which, with the same battery rundown test, we got just under 10 hours out of the tablet combo, whereas the laptop combo pumped out 17.5 hours. Coincidentally, neither are far off the official claims for continuous web browsing over WiFi (and they're respectively about one hours and three hours more than ASUS' 3G figures). 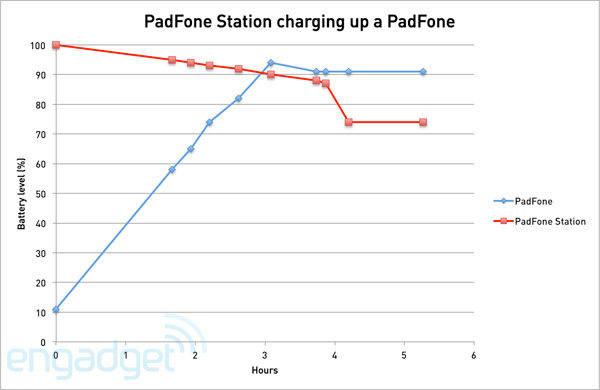 However, there is a caveat with these numbers: the PadFone Station pad fails to operate once it runs out of its own battery, so the aforementioned figures actually include the duration of the phone running on its own using its remaining battery juice. This is also why, by default, you're given the intelligent charging mode, so that when the keyboard dock still has battery juice, it keeps the PadFone at no less than 90 percent battery level, with the pad's battery level staying pretty much untouched if full. However, if the pad's battery is significantly lower than the keyboard's, then the latter will share the love with the former as well. When the keyboard's battery is exhausted, the system will lower the minimum threshold of the phone's battery level so that the pad can operate longer. On the contrary, the charging pack mode simply prioritizes all the battery power to the phone, but again starting with the keyboard dock's battery. For those interested, here's a brief breakdown of what we got from the intelligent charging mode corresponding to the above figures. In our tablet combo the PadFone Station gave up at about eight hours and 45 minutes into the 10-hour rundown test, leaving the phone with 28 percent battery left. In our laptop combo the PadFone Station died at about 14 hours into the 17.5-hour test, but somehow the phone had 55 percent battery left. In the above tablet mode rundown chart, despite the lack of samples in the early hours, you can still see how the intelligent mode's bias towards the phone keeps it alive for a wee bit longer after the PadFone Station gives up. Later on we inserted our almost-depleted phone into a fully charged PadFone Station, and about three hours later the phone went from 11 percent to 94 percent, with the pad at 90 percent. This is presented by the chart above. 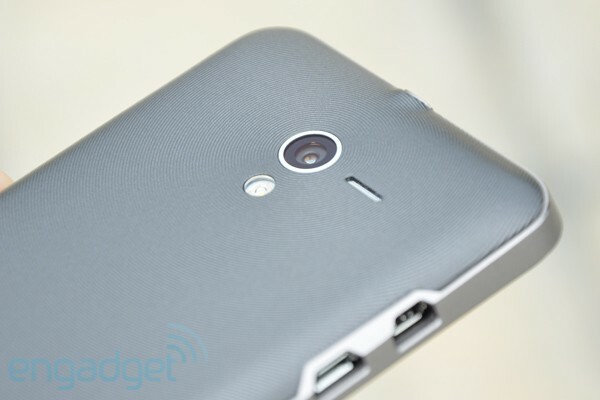 The PadFone's 8-megapixel camera does a solid job all around. The PadFone's 8-megapixel (3264 x 2448, 4:3) f/2.2 camera does a solid job all around, offering good color reproduction in most cases and can easily handle macro shots, while night shots depend on the environment. For instance, streets with some lit signs look great in our photos, though we still needed several tries in order to get rid of the blurriness or find the right focus. Most of the time we just ended up manually boosting the ISO for the sake of speed and steadiness, or used the night scene mode to extend the exposure time (as long as we had somewhere to lean our phone against). It's also safe to say that the less dense PenTile subpixel layout made it a tad more difficult to check the pictures' sharpness, so be sure to double check your important shots in the gallery. Another hitch is that when taking pictures with a white, cloudy sky in the backdrop, we often had to manually increase the exposure level rather than tapping the appropriate focus area to lock our desired exposure and focus point -- 'tis a widespread issue amongst Android devices. We've tried the backlight scene mode as well, but it only added a light shade of white over the image instead of improving it. We collected the good shots in our extensive gallery below, so enjoy. The biggest problem with the PadFone's camera is the shutter speed: in a well-lit environment we measured around 1.4 seconds from hitting the virtual shutter button to seeing a refreshed viewfinder. It's not bad, but it's certainly no match for the "zero shutter lag" on the HTC One series and the Galaxy S III, so brace yourself if you do switch from those devices to the PadFone. Similarly, the PadFone's camera app is very much a skinned version of Ice Cream Sandwich's native app, so you'll miss out on the extra goodies like HDR, image stabilizer, slow motion capture, smile trigger, burst shot mode or simultaneous photo and video capturing. This is obviously a big disadvantage compared to some of the competitors, so hopefully ASUS will fix this in a future update. Furthermore, the native camera app's "Silly faces" and "Background" effects in camcorder mode are absent for some reason, but ASUS has added three filter effects (greyscale, negative and sepia) in both camera mode and camcorder mode to sort of compensate. As usual, you can use Android's Photo Studio for more still filter options afterwards, but that's obviously not as fun as seeing the effects applied onto the camera's live viewfinder. 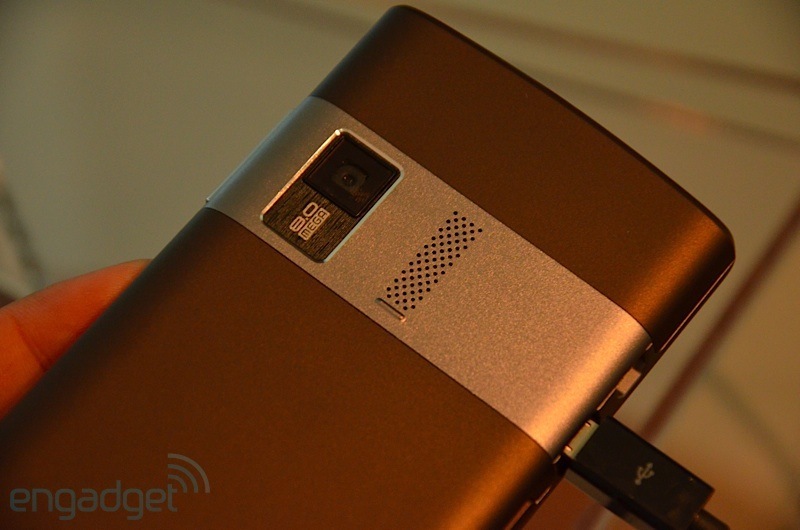 What's left in the camera app are the usual ICS panorama mode, 1080p video capture and three camera scene modes (night, backlight and vivid). You can find all these settings in a pull-out tray on the left (next to the slider for digital zoom). On the right you have the toggles for still camera mode, camcorder mode and panorama mode, followed by buttons for the shutter, switching cameras, toggling flash and opening the gallery. Last but not least, there's a handy counter at the top right indicating how many photos or how much video you can capture. While the features are lacking in the camera app, the PadFone makes up with pretty decent camcorder video quality. The recorded 1080p, 30fps MPEG-4 clips are of AVC baseline profile level 4.0, and they were encoded at up to 20Mbps -- higher than One X's 10Mbps (baseline profile at level 4.2, 23fps) and the Galaxy S III's 17Mbps (high profile at level 4.0, 30fps) -- which is the maximum video bit rate specified for this profile. The accompanying audio comes at a bitrate of 156kbps (nominal 96kbps) -- again beating the aforementioned competitors -- and sampled at 48kHz. Even without these technical comparisons you can still appreciate the fine details in the clips; but when filming in the dark, the frame rate is reduced to no less than 15fps (which is acceptable for the quality it achieves), and the camera finds it harder to focus. The lack of touch focus in camcorder mode doesn't help, either. As for audio, we were impressed by how well the mic picked up our voice, except the first second always got cut out -- no doubt an easy bug to fix. At least there's no audio and video sync issue. While there's no optical difference between using the phone's camera inside the tablet and outside, we noticed that the audio in our recorded clips sounded slightly muffed when recorded from inside. You'd think, due to the nature of the mic's poorly chosen position, that this was probably because we accidentally covered it up with our right hand, but we've triple-checked this by gripping the tablet with just the tips of our thumbs and index fingers during the tests. Having inspected the sample clips we sent it, ASUS told us this phenomenon was more to do with the external mic's audio path via HDMI when in tablet mode. 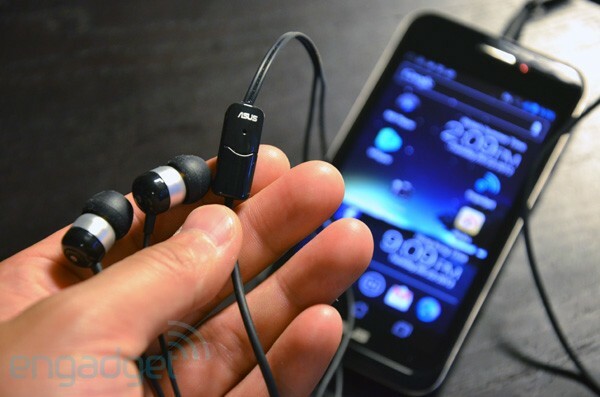 So, by design, the audio quality would be a bit different, and it seems there's nothing that ASUS could do here. Considering ASUS already released three iterations of Transformer Pads that are now running Ice Cream Sandwich, we naturally have high expectations when it comes to the PadFone's software features and performance. Luckily, the company's preserved many of its goodies here: the overall look and feel are very much in line with Google's vanilla skin. You'll only see ASUS' customization straight away in the notification panel (in both tablet mode and phone mode), widgets and the extra "Pad only" tab in the app tray -- shameless plug but this is where you'll also spot our Distro magazine app once installed. As with the Transformer Pads, you can revert to the original notification panel under "ASUS Customized Setting" in Settings; but we actually much prefer the beefed up version. Here, you have a row of quick access buttons for auto-rotate screen, WiFi, Bluetooth, vibrate, auto sync, GPS, airplane mode and WiFi hotspot, followed by a screen brightness slider with buttons for toggling outdoor mode (née Super IPS mode à la Transformer Prime) and auto brightness. Gone are the buttons for switching system performance modes (performance mode, balanced mode and power saving mode), but they are still accessible in Settings. Another nice, but subtle, enhancement by ASUS lies in the dialer: again, the essence of the vanilla skin is here to stay, only to be garnished by the popular T9 smart dialing feature that somehow never made it to the Galaxy Nexus. Oh, and in phone mode, ASUS has managed to slip in the recent callers list underneath the lightly condensed dialpad as well, thus part of the list is conveniently displayed above the retractable dialpad. Of course, the PadFone's main selling point when it comes to software is the Dynamic Switching feature, where apps are supposed to switch between their phone interface and tablet interface upon docking or undocking the phone. Sadly, we regret to say that this isn't quite as ready as anticipated. With the Android build (IML74K.CHT_PadFone-9.18.8.2_CHT_9.0.33-0) shipped with our retail unit, only the handful of pre-loaded apps got Dynamic Switching working: People, Messaging, Dialer, Camera, Browser, Calendar, Supernote, Clock, Email, File Manager, Gallery and Video Player. This list may seem to have the basics covered and it's easy to impress your friends with the seamless video playback in the default video player, but trust us, this is far from sufficient when you consider how all other apps slap you in the face with this painful message: "Application does not support dynamic display switching and has been closed." The black list includes pretty much all Google services (e.g., Maps, Gmail, Play services, Movie Studio and YouTube); some of the pre-loaded apps like Garmin and WebStorage; popular downloads such as Facebook, Twitter and Angry Birds, and our very own Engadget app as well. Just to rub salt in the wound, the recent apps list is wiped clean every time Dynamic Switching is attempted, regardless of the outcome. So whatever you're doing, you must always make sure you save your work before tinkering with Dynamic Switching -- we had already managed to lose a draft in Gmail back in the early days. Good thing it wasn't an essay. Update: ASUS has since released a solution to partially address the Dynamic Switching compatibility issue. Given the supposedly tight relationship between ASUS and Google, we were very surprised by Dynamic Switching's severe incompatibility with Google services. Given the supposedly tight relationship between ASUS and Google, we were surprised by the severe incompatibility with Google services, so our assumption is that ASUS had to rush this product out ahead of Computex. On the bright side, ASUS told us this is something it's constantly honing, so here's hoping the OTA update coming this month adds more apps to the list. We also asked ASUS who to contact for support should a developer wish to ensure Dynamic Switching compatibility, but the response we got was rather odd: apparently its local sales reps, not a dev support team, will be handling this. While exploring Dynamic Switching, we were initially baffled that the phone interface and the tablet interface can't share the same wallpaper. You'll have to set this manually if you're picky (although we're pretty sure many people would rather have two options instead of one). ASUS says this is due to the two different resolutions and having to take portrait and landscape modes into consideration. It's hard to offer an automatic solution and keep the picture quality well-controlled at the same time, plus the company wants to stress the fact that you can run two totally different UIs in one system here. We guess that's a fair point, and at the end of the day, you can't share the same icon layout between the homescreens of the two interfaces anyway. Fans of Transformer Pads should be familiar with most of the widgets on the PadFone, namely MyZine, battery, task manager, weather and WebStorage. With the exception of MyZine, all of these are available in phone mode. 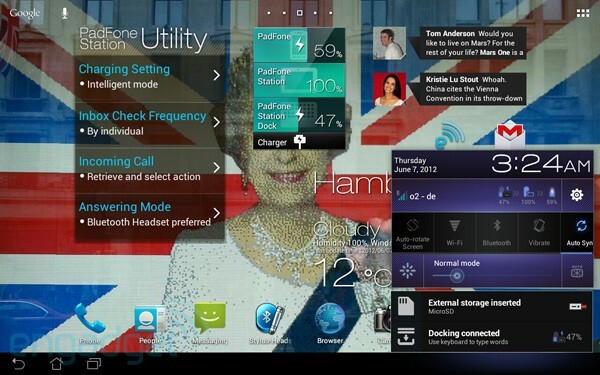 There are also a few new widgets here, with the pad-only PadFone Station Utility letting you toggle settings for charging (intelligent mode or charging pack mode), inbox check frequency, incoming call action (retrieve to answer or retrieve and select action) and preferred answering mode (Bluetooth headset or speaker). Again, these are also accessible under "ASUS Customized Setting" in the Settings menu. You'll also find a healthy set of preloaded apps on the PadFone. With the exception of the Hami utilities from Emome.net (a Taiwanese portal operated by local partner carrier Chunghwa Telecom), most of these should come in handy for those living outside Taiwan. Starting off with the oldies from the Eee Pads, we have App Locker, WebStorage, SplashTop Remote (under MyCloud), asus@vibe, MyNet (for DLNA), File Manager, SuperNote, Polaris Office and Garmin StreetPilot. This has productivity, navigation and entertainment covered, so not a bad package at all. Then there's the phone-only FM Radio as well as the new Watch Calendar, the latter offering a cool and surprisingly tidy clock-style layout for your daily agenda. While the asus@vibe hub offers a selection of channels for streaming and purchasing multimedia content, the PadFone lacks powerful multimedia apps to support more formats or to offer a more intelligent service. For music, the device only supports MP3, WMA, AAC and AAC+ out of the box. You also have Android's native Play Music which does a fine job (despite the incompatibility with Dynamic Switching), but you'll have to look elsewhere if you want smart features like the Music Square auto-playlist tool on the Galaxy S III. Video support is more of a worry: the spec sheet lists just MPEG4, H.264, H.263 and WMV HD 1080p as compatible formats, so we've had to rely on third party apps to get AVI and MKV support which don't always work well. And even so, these apps lack Dynamic Switching support. We don't mind if the phone comes with a relatively basic music player, but for a device that's often been shown doing seamless video playback while switching screens, we were seriously hoping for a robust video player that'd handle all the formats you can think of. A DivX certification and some tweaking should be all that ASUS needs in order to turn the PadFone into the ultimate multimedia hub that'd make your neighbors jealous. While it may seem like we moan a lot about the PadFone in its current state, we do it only out of love. To put it simply, we're all over ASUS' vision of making the smartphone the literal center of our lives, but the company can do so much more: what we see here is just the core of the idea, the foundation to get things started, while the rest of the product seems half-finished and doesn't yet realize its full potential. On the other hand, you have to start somewhere, and a product like this will surely inspire many to take advantage of this hybrid form factor, be it consumers, developers or even manufacturers. Focusing on the PadFone that's already on the market, we can't help but feel ASUS really just wanted to get it out of the way ahead of Computex, and then rely on OTA updates to beef up the device. This is okay as long as ASUS keeps up its pace, and looking at its track record of updating the Transformer series, we're confident that the fixes will be delivered in good time. Leaving the software bugs aside, at this point it's hard to tell whether the PadFone will appeal to the masses who are spoiled by multi-device options, or those who think the glass is half empty -- as in the tablet is useless without the phone. But then again, the off-contract price for the full package is already very competitive, let alone the subsidized offers from carriers. Ultimately, not only does Android need to become even more productive, but the PadFone also needs to shave off some weight. We guess it'll follow the same path as the first Transformer and evolve into a slimmer model, and you have to remember how fast Jonney Shih came back with the Transformer Prime after the TF101's launch in the same year. What we want ASUS to do now is cuddle up to Google and sort out Dynamic Switching for everyone, as well as come up with even more applications and ideas that will truly push its transforming Android devices to a more significant role in our everyday lives.